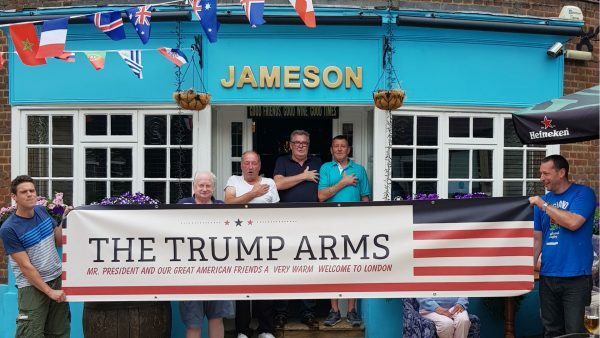 LONDON—A pub in west London will temporarily rename itself the ‘Trump Arms’ to honour President Donald Trump’s visit to the UK. The pub, called The Jameson, will host an event of Trump-themed celebrations on July 14 with American-themed food and drink to welcome the president to the country. The welcoming event in the pub is in contrast to the large scale protests expected in the capital during the president’s visit. London’s Mayor Sadiq Khan on Thursday gave permission for a blimp of Trump that depicts the president as an orange, angry baby to be flown over Westminster. 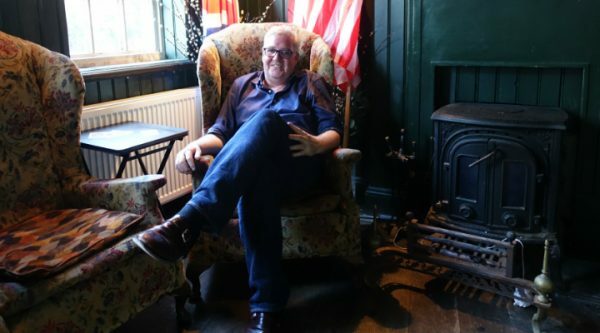 “The American people who actually voted him [Trump] into the office will be hurt by that,” said Damien Smyth, landlord of the Hammersmith pub. 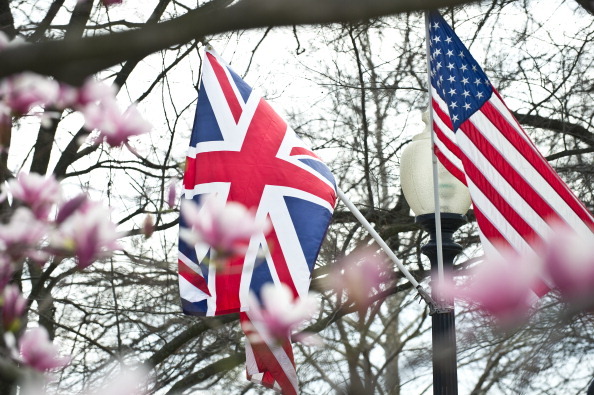 The Irish landlord said he had to take “the bull by the horns” because of all the anti-Trump protests that he felt would be detrimental to the relationship between the UK and America. “We need to see that the relationship isn’t damaged after these protests,” he said. Smyth, 53, who has been inundated with press interviews over the last two days, said he was surprised by the amount of calls of support he’s received from young people about the celebration. “I’m just absolutely astounded,” said Smyth, whose wife is from New York. “We want to portray to the American public, who voted for him and who made him president, that not everybody is against him in this country,” he said. “This is a real grassroots celebration for the U.S. president,” said Sullivan, who runs the conservative leaning think tank Parliament Street. Smyth said he hopes that he’ll have the chance to thank President Trump. Tickets to the welcome party cost £32, and several high profile people from the UK and Britain have been invited, according to Smyth.